Born in Pittsburgh, Pennsylvania on March 4, 1895. B.S. from Lafayette College in 1917. Commissioned in the Coast Artillery Corps in 1917. Served with the 60th Artillery at St. Mihiel and Argonne offensives in 1918. 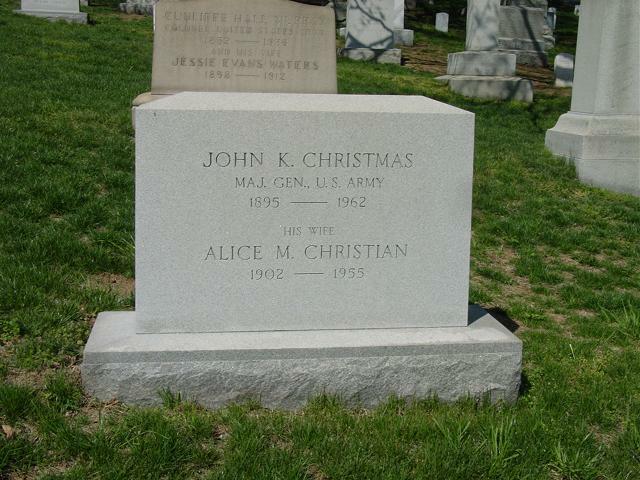 Graduated from Command and General Staff School in 1934 and the Army War College in 1935. Officer in charge of the Automotive Division at Aberdeen Proving Ground 1939-1941. Chief of the Tank and Combat Vehicle Division in the office of the Chief of Ordnance 1941-1942. Brigadier General in May 1942. Assistant Chief of the Tank-Automotive Center in Detroit 1942-1945. Major General in October 1943. Assistant to the Chief of Ordnance in 1945. Retired in January 1954. Decorations included the Distinguished Service Medal and Commendation Ribbon. Died on March 8, 1962.